The IPL season is officially here and people are going nuts fighting for their respective teams and players. It’s a fierce battle that often breaks out near the water cooler and in the cafeteria. In the spirit of cricket, one of the most amazing and complex games in the world, I have compiled a list of cricket apps for Android users. 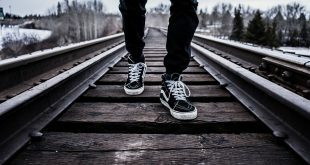 Some of these apps are games that you can play solo or with your friends. 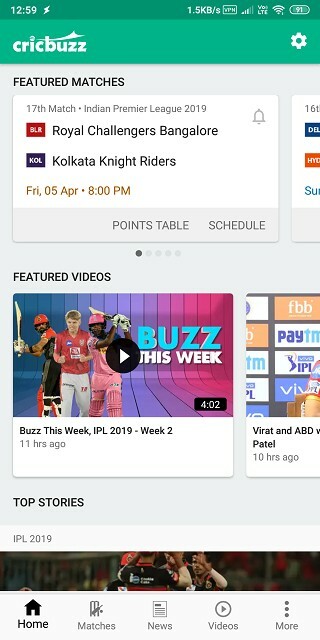 Others are information apps that will help you follow the IPL and other cricket tournaments that are being organized around the world. There are also some live apps that will let you create your dream team that you can then use to collect points and win real world prizes. So, let’s get set going already. Cricbuzz is the go to cricket info app when it comes to the Android platform. You can select and follow your favorite teams, players, and follow scores in real time. The entire IPL schedule is available at a glance. The points table are always fun to read. What makes Cricbuzz really tick for me is the ball by ball commentary that the app offers. It is really refreshing and engaging to the point that you can easily visualize what is happening on the field. Never forget to watch a match again with in-app reminders for important or favorite matches. 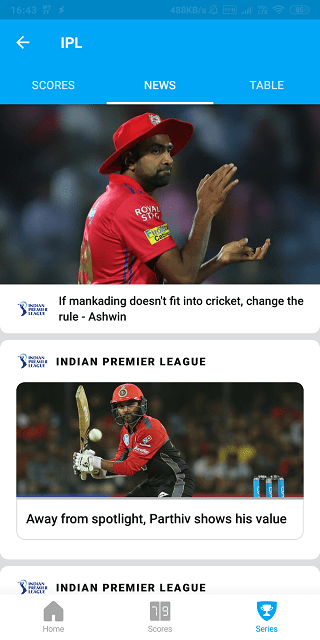 Cricbuzz also offers a lot of original content in the form of articles, editorials, and videos to further improve the cricketing experience. Cricbuzz is free to use with ads however there are in-app purchases at $1.99 for audio service for a single match. What is better than following the world of cricket? Playing in one, what else? The graphics of the game are really cool and you can play cricket in all formats in 32 popular stadiums across the world. 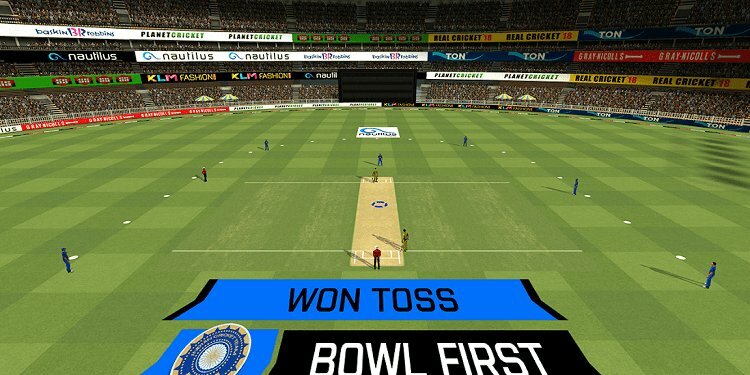 There is a separate option to play famous cricket shots like Dil-scoop and the Helicopter shot. In fact, there are 140 batting and 14 bowling animations to choose from. Choose a shot when you are bowled to and if you are wrong, you might get injured. There is a lot of attention to detail here like player’s performance improves with consistent good batting/bowling. You can also invite or challenge friends in multiplayer mode. A similar level of details can be found in fielding animations and modes. Finally, you can participate in the auctions. World Cricket Championship 2 is an ad-supported game with in-app purchase of $8.99 to remove ads, buy coins, and unlock additional stadiums, locations, and tournaments. Note that at the time of writing this article, WCC Rivals is still in beta however you can download the cricket app for Android phones on the Play Store. 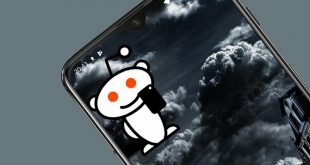 So why are we excited about this app? WCC Rivals is a multiplayer cricket game. The objective is simple. You will join a room and either bat or bowl to try and win the match for the prize pool. There are many tournament rooms to choose from and each room offers a different prize pool. These matches are conducted in a 1-on-1 environment, however, you do have the option of building a squad. No bots allowed! Improve or acquire new skills, prove your worth, and climb up the leaderboard. These are the objectives of the game. There are in-app purchases that will remove ads, unlock modes, rooms, and let you buy coins. If you don’t care about attention to detail when it comes to player’s face and profile, but just want a fast paced cricket game that is all fun, Super Cricket 2 is what you are looking for. There are a number of difficulty modes and shots to choose from. This app is for those who like to bat as there is no bowling option. I told you, quick and brain-dead simple. Advanced features like toss, 3rd umpires, and bowling are all missing. It’s a quick fix to your cricking, or more specifically, batting needs. There are no in-app purchases which is not surprising seeing there is not much to unlock. The cricket game app for Android is completely free to download and play. With the popularity of fantasy football on the rise, it was only a matter of time before the concept arrived for cricket fans. The objective is simple. If you think your cricketing knowledge is unparalleled then this is the time to show off and win some rewards. Create your dream team of the best 11 players playing in the IPL and win rewards. You get points for every run, wicket, and milestones. As these points add up, you win real cash rewards that you can then withdraw to your account. You get to win real money here and a lot of fans claim to be doing good. There is support for other sports too like NBA, Kabaddi, Football, and Hockey. The is also a good way to follow what’s happening in the real cricketing world as your points and position on the leaderboard depends on their performance. Note that this is a gambling app where you will be playing with real money. It can go either way. Also, the app is available on App Store but for Android users, you will have to download it directly from their official website. This is because Play Store takes 30% of all revenues which can be quite high for an app like this. ESPN has made a name for itself in the sports industry for providing quality news coverage, real time scores, and top-notch editorial content. ESPNCricInfo covers every format in the sport of cricket that you can think of from county and Ranji trophy to IPL and the world cup. You get live scores, ball by ball commentary, and expert opinions. There are enough options to personalize the app by following your favorite teams and players. ESPNCricInfo will satisfy all your needs but frankly, falls just short of Cricbuzz that we mentioned above. That app offers more ways to customize your experience but as far as the quality of content produced, both text and videos, ESPN does a better job in my opinion. The cricket info app for Android users is free to use but ad-supported. This Cricket app for Android was built by and for fans of the master blaster, Sachin Tendulkar, popularly called as the God of Cricket. In this game, you will be playing as Sachin. A real ho nor in my opinion. The game has 3D graphics which look realistic. All popular cricket formats like ODI, test, and more are there. You can build your team too. I downloaded the app just for the sake of Sachin and wanted to relive his iconic matches and moments. This game is perfect for that. You can play him in career mode following his journey in his footprints. The stadiums, match conditions, and player moments are all well-polished and mimic real life. Real Cricket has the best graphics in the list of cricket apps for Android smartphones, however, note that most of these features are locked behind a paywall. If you are looking for a free cricket app or something on the cheaper side, move on. Having said that, Real Cricket offers the full roaster like different cricket formats like ODIs, tests, T20s, and more. The animations are captivating and the gameplay is smooth. A lot of attention has been paid to gaming styles of different batsman and bowlers which you will notice immediately. You can even interact with the empires if you think there is something wrong about the decision. You can participate in the auctions to buy players before the tournament begins. Finally, what got me going was sledding and field fights between players, especially bowlers and batsman which adds a whole new level of authenticity to the app. Tickets for tournaments will cost you $0.99 while to remove ads, you need to pay $4.99. You will need to tickets for pretty much everything in the app. Whether you are looking for cricket info apps or cricket game apps, we have covered pretty much all the popular ones that are a hit with the masses. We have also covered some that are still in beta but looking very promising. Between these games and apps, your cricket life is set. If you like to build your own real team and place bets, you can do that too, however, we don’t recommend gambling at TW.